The historic Pont Valentré, in Cahors, all decked-out as a giant tasting room for Malbec Days, last May. If black wines are what Cahors producers are still looking to do, then the high-extraction, lots-of-new-oak approach might seem right on the money—at first sight, at least. No matter how much oak they apply to the wines, most Cahors winemakers are clearly looking to give their cuvées a lot of depth, color, and substance. 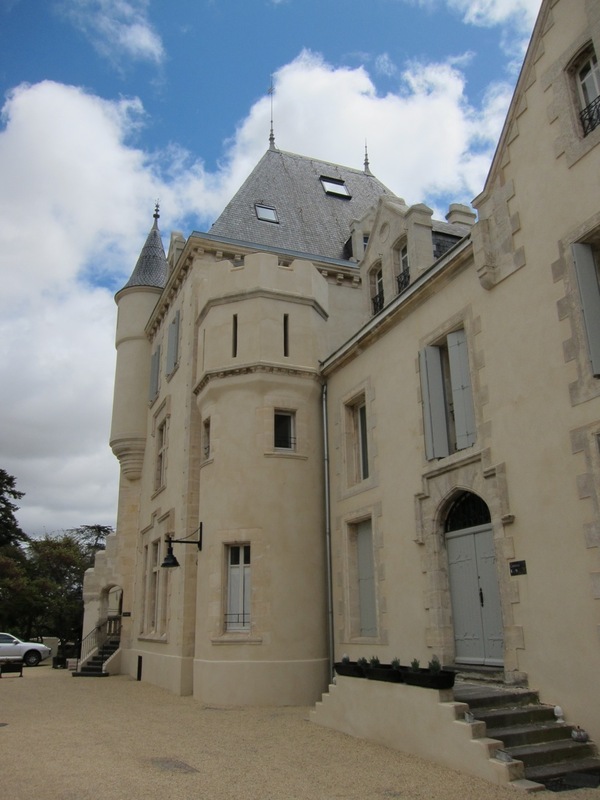 At the recent Malbec Days, which took place May 20-23 in Cahors, a tasting of a dozen top bottlings from this French region showed dark, deeply colored wine that certainly fit that description. Black with purple overtones, they generally showed substantial tannins (sometimes soft, sometimes tough), and a fair bit of vanilla-spice-oak aromas. Several of the top cuvées—served in what was unfortunately a rather rushed and disorganized context, interspersed with pontificating statements by top French critic Michel Bettane—had a harsh, rough finish, and lots of them felt tiring, overly big. In some cases this may have been a matter of youth, since most wines were from 2006 and 2007, a young age for reserve cuvées. For instance, the 2006 Château Lamartine Expression had complexity beyond the rush of dark fruit and spice that showed up front: “I’d age that,” I scribbled in my notebook. Château Ponzac’s 2007 Cuvée Éternellement also had something fairly balanced and apparently age worthy going on, with some nice earthy notes adding to the coffee and blackberry, a firm mouthfeel, and velvety tannins. Top cuvées by Clos Triguedina, Château de Gaudou, and La Caminade, however, had loads of drying, harsh tannins on the finish—tannins that I believe will never really go away with age. As the weekend wore on, the positive notes I accumulated during tastings were largely correlated with moderate oak or even no oak at all. The 2007 Un Jour Sur Terre cuvée from the Clos d’un Jour, a small estate run by a serious, focused young couple, was compact with a reserved nose but an expressive, full-bodied, well-integrated mouthfeel. The wine is aged in terracotta amphorae, allowing an oxygenation similar to that of oak but without the flavoring effect of new oak. After racing through a number of heavily-oaked, tannic wines from many producers lined-up in the Espace Valentré, Malbec Days’ central venue (with no air conditioning in unseasonably hot weather), bottlings by Fabien Jouves, at Mas del Périé, were like a breath of fresh air. 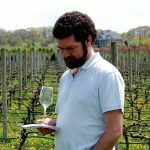 Jouves’s approach is itself refreshing, as his four bottlings are designed first and foremost in relation to specific parcels—and different soils—on his family’s property. Les Escures 2008, from white clay and gravel soils, was fruity and spicy with nice acidity, a clean expression of the grape and place, totally un-oaked. I also enjoyed wines from Clos du Chêne, especially the 100% Malbec du Clos, an old-vine cuvée that was smooth yet intense, with good length and, once again, not a trace of oak. It was interesting to taste a reserve cuvée that did not go in the full-throttle new-oak direction. The estate’s regular Clos du Chêne bottling was maybe a little light, but in the context of so much big, extracted wine, light and refreshing was distinctive and very pleasant. Speaking of refreshing, one afternoon, Joe Roberts, Nick Gorevic, and I sidestepped the logistically challenged activities of Malbec Days and went to the far edge of the Cahors appellation, near the town of Montcuq, to visit a winery called Le Clos Siguier. 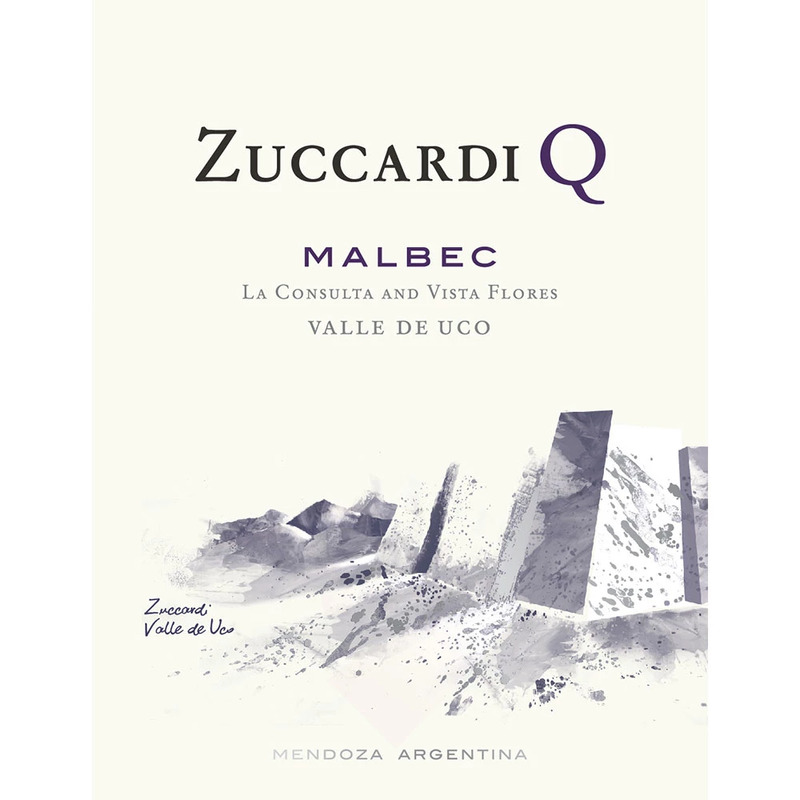 This 15-hectare estate on the high plateaux farther away from the Lot River has a large amount of old vines (95% malbec, 5% tannat), most about 50 years old—though some about 80 years—with a couple of hectares of 15-year-old vines (which are more sensitive to variations in heat and rainfall, as their roots have not dug as deep yet). 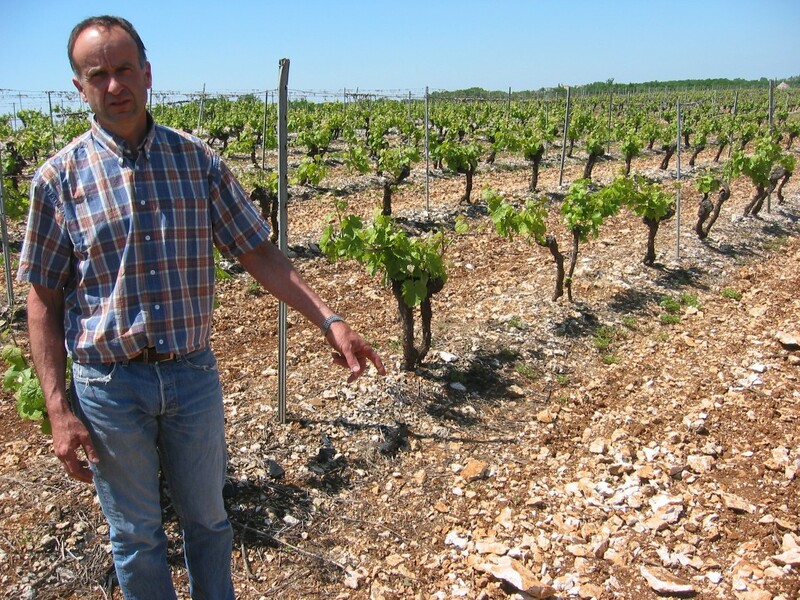 Gilles Bley, vigneron at Clos Siguier, in his 50-year-old vines on red soil with limestone rocks. Gilles Bley, who manages the family estate, runs the vineyard without chemicals and makes the wine with native yeasts and no sulfur; only a bit is added at bottling to stabilize the wine for shipping and conservation. The great majority of the wine is made and aged in stainless steel and cement tanks, with only a small fraction going into very old—over 10 years old—barrels. Why no oak? “I don’t like the taste,” Bley answered simply, with a shy smile. It was hard to contradict him as we tasted through the wines. The tank samples of 2009 exploded with violets and bright fruit. The 2008 also had that same beautiful fresh flower and fruit profile, though it had calmed down after a year in cement tanks. The 2007 and 2006, tasted in bottle, were refreshing: silky, supple, aromatic; they just drank themselves. His 2007 Vieilles vignes bottling, from 80-year-old vines, had a little cedar and licorice added to the flavor mix, with a deeper, more velvety feel. With this lighter touch and alcohol hitting around 12%, these are wines for early drinking rather than true vins de garde, right? Not judging by the older bottles we tasted. The 2003, with a little dried fruit on the nose from that extremely hot and sunny year, was balanced and drank very well. A bottle of 1998 felt a little funky coming out of the bottle, with white asparagus riding out intensely in the beginning before fading away and being replaced by tar, vegetal, mineral, leather, and mushroom flavors, and with acidity holding everything in place. Light but still harmonious was the very surprising 30-year-old bottle Gilles Bley also pulled out, as we tasted the wines with sausage from Rocamadour and a Cantal cheese. With a nose showing leather, sweat, dried autumn leaves, and prunes, the flavors went toward old parchment and dried strawberries, with surprisingly good length. If you need proof that bigger and more extracted does not necessarily mean more age worthy, Clos Siguier’s wines are for you. I have to emphasize here that I don’t mean to draw a purely linear inverse correlation between the amount of oak and the quality of the wine. New oak can certainly make sense in some cases, and I’ve often noticed that I could not sense any significant trace of oak in wines that had gone through extensive new-oak aging. 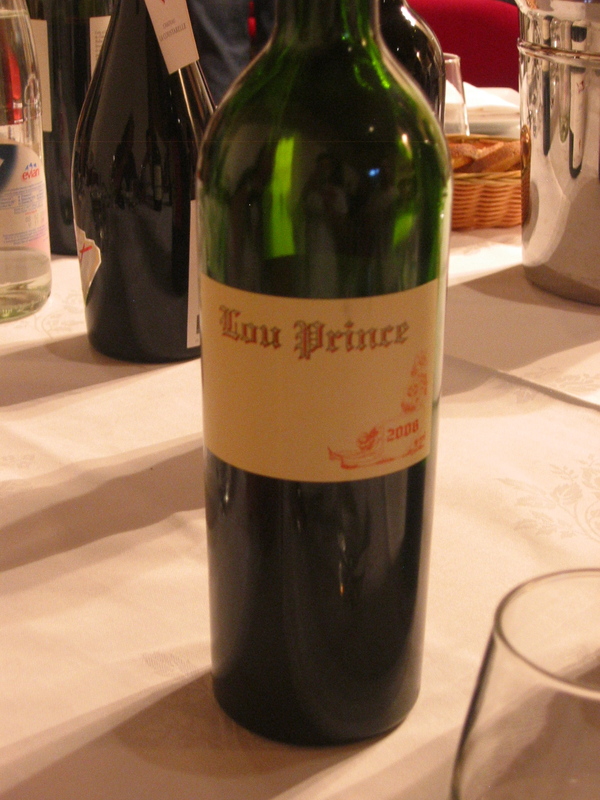 One of my favorite wines during the weekend was the Lou Prince cuvée from Domaine du Prince, an estate that Ken Payton has described extensively on his blog Reign of Terroir. It was delightfully balanced, with good weight, a velvety touch, bright fruit expression, and some nice earthy notes. The bottle’s contents disappeared nearly instantly at dinner when it was served alongside several other Cahors wines. This top bottling from a specific patch of relatively old vines (38 years) had a striking personality with some of those nice floral notes. And oh, yes: it aged 18 months in oak barriques (maybe new oak; I’m not sure). Wine isn’t a case of absolute numbers—with, say, anything over 18 months in new oak automatically becoming over the top. It’s a complex equation, a balancing act that requires a careful reading of all the factors involved. What I tasted in Cahors showed a tendency toward wines that are over-oaked and over-extracted, but as I mentioned in my earlier Palate Press post on the “Lagrézette verdict,” this may be a question of focus. Indeed, if winemakers, when asked about their reserve bottlings, start by telling you about the amount of time the wine spent in new oak barriques, and if drawing more information out of them sometimes feels like pulling teeth, then perhaps they’re looking in the wrong place for the factors that can make a superior Cahors. Shouldn’t there be, first and foremost, a clear, well-defined view of the vineyards, the soil, the climate, the actual sense of place? Oak or not, those questions were always part of the discussion with the vignerons whose wines I liked best. Soil specialists Claude and Lydia Bourguignon gave a fascinating talk about geology and soil types in Cahors, microbial life, root development, and the deleterious effects of herbicides and chemical fertilizers—one of the most fascinating moments of Malbec Days. They pointed out that for historical reasons (phylloxera, harsh competition from Bordeaux, etc. 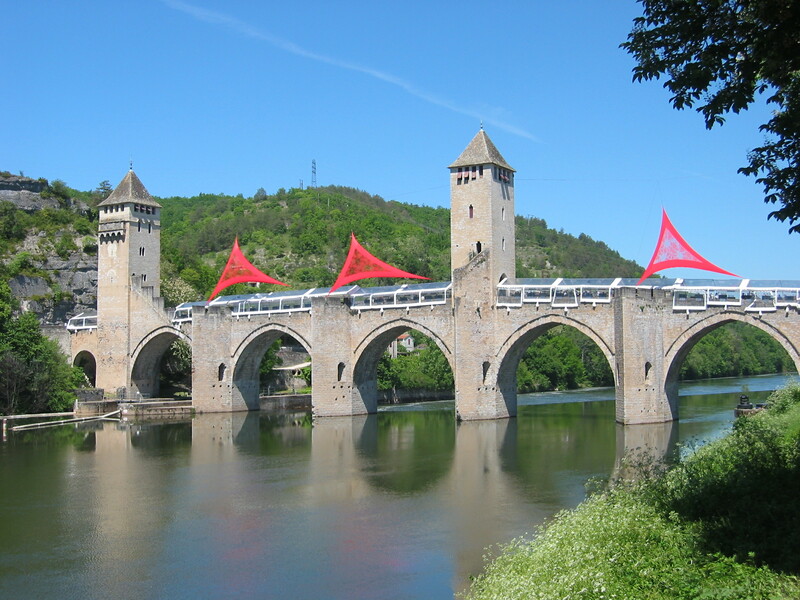 ), winegrowers in Cahors had abandoned the majority of the best vineyard sites in the appellation. Those sites, sitting at the top of steep inclines, were hard to cultivate and harvest, which explains why easier sites on flatter land near the Lot River were picked for replanting. Still, Claude Bourguignon insisted, for Cahors to realize all its potential, its vignerons have to reclaim the best sites, ensure that planting density and cultural practices be well-adjusted to the sites, and thereby create a site-specific expression of malbec that will truly reach into the rich and diverse geology of the Lot valley. In other words, instead of looking to the finishing process, start with terroir. So it sounds like the Domaine du Prince was the best of the bunch, am I right? Just wondering where I might find that Stateside (specifically California). By the way, I’m totally jealous. Sounds like an awesome trip. Joe, it was nice to reminisce about our excursion to Clos Siguier. I tasted the wine back home, by the way, and it was still as delightful. Gone in a flash. So it wasn’t just the scenery and the saucisson. Brian, Lou Prince was certainly a delight, but doesn’t seem to be available (at the moment, at least) in the US. Siguier is distributed, but seems localized in New York. Does Astor Wine deliver to CA? 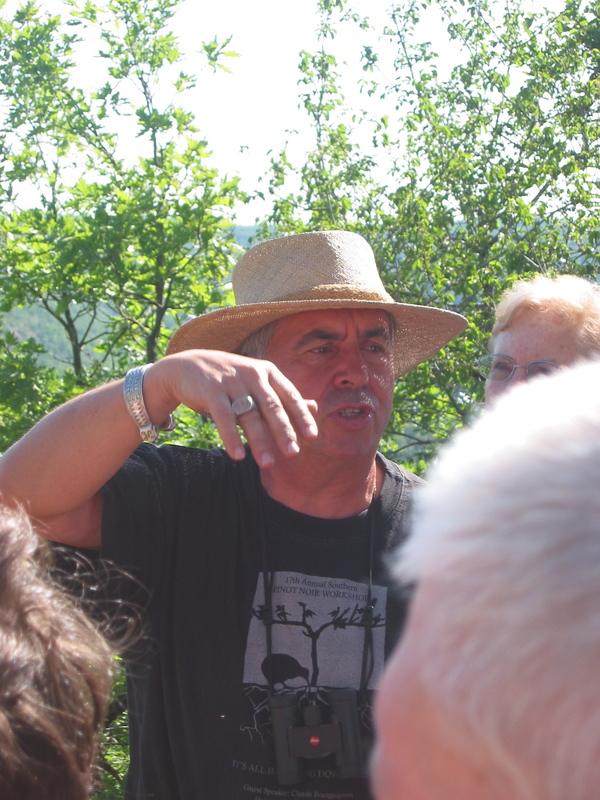 Interesting to see the Cahors and their Malbecs from another point of view of a guy who was there. And like you, I was quite impressed with the “Un Jour sur Terre”. Remarkably good wine. Thanks admin! Realy nice post! I find some else in this cat 2010 fall/winter trends for menIt realy cool! I twit it, Have a nice day! I want to show my thanks to this writer just for rescuing me from this type of challenge. Right after looking through the world-wide-web and finding concepts which are not beneficial, I was thinking my entire life was gone. Being alive devoid of the strategies to the problems you’ve resolved by means of your entire posting is a serious case, as well as ones that might have negatively damaged my entire career if I had not come across the website. Your own personal understanding and kindness in maneuvering all the things was very useful. I don’t know what I would’ve done if I had not come upon such a solution like this. I can also at this point look forward to my future. Thanks a lot so much for the professional and amazing help. I won’t think twice to propose the website to anyone who will need tips about this area.